Many thanks to Katie Turner at Turner’s Antics for this review. Goodreads: Harry Gordon, sports hero and merchant banker, finds that despite his best efforts, a year after taking over the family steel business it is on the brink of collapse. Then he discovers that the seemingly random events leading to this point are not simply related to market forces. In a race against time that becomes a matter of life and death, Harry is forced to draw on all his skill and courage to avoid certain disaster. This book is from Australian author Ross Collier. One of the things I loved about it, was the location. AUSTRALIA, Melbourne and of course being in Melbourne at this minute, loved all the terminology and locations throughout. Meet Harry Gordon, an ex-football star and an ex-merchant banker! He had to take over the family business when his Father passed away. Gordon Steel is a supplier to the building industry and this book follows all the trials and tribulations that follows running a business based on tender applications. Poor Harry gets a phone call early one morning from a work colleague to say a worker has been found dead in the office. This is where it all starts…. Who killed poor old Edna?? Was it another employee or somebody with ulterior motives? Harry likes puzzles and when his old football coach asks for Harry to check up on his daughter, he can’t refuse. The only problem is that Rebecca is his ex-girlfriend. Harry gets involved in helping Rebecca sort out her life as well. Poor Harry! With each chapter the plot thickened and the stories evolved. I couldn’t put it down, it was so addictive and I wanted to find out what happened to Harry in the end. This book has it all, non-stop action, suspense, intrigue and even love. 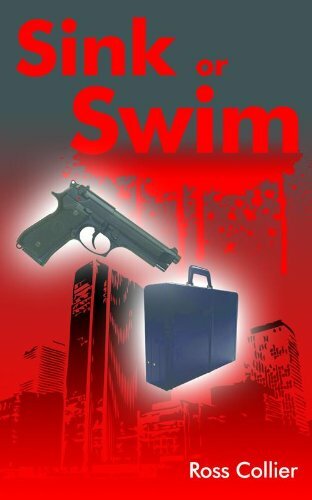 A must read for those who love suspenseful thrillers. You can find Ross at Goodreads, Amazon, Twitter, Facebook or his website. Other books in Ross’ collection include The Fenians and coming soon Tug of War.